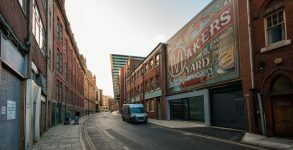 An inventive and collaborative scheme, this site provides parking associated with the Queens Building apartment scheme. 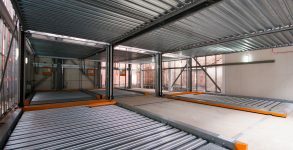 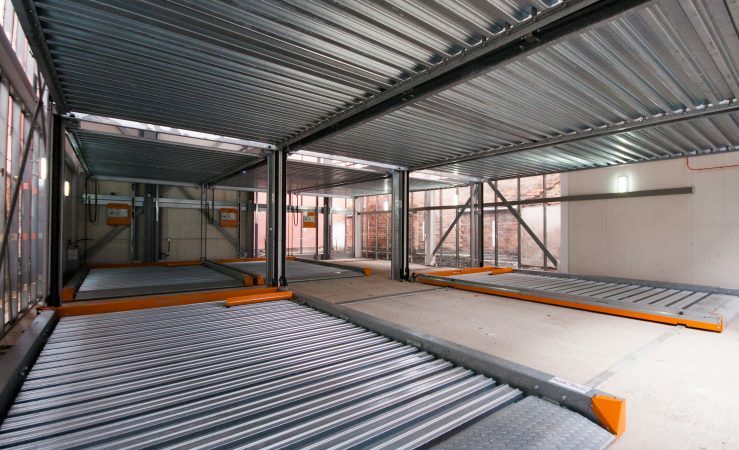 An automated car stacking system allows parking for 10 cars on this compact site. 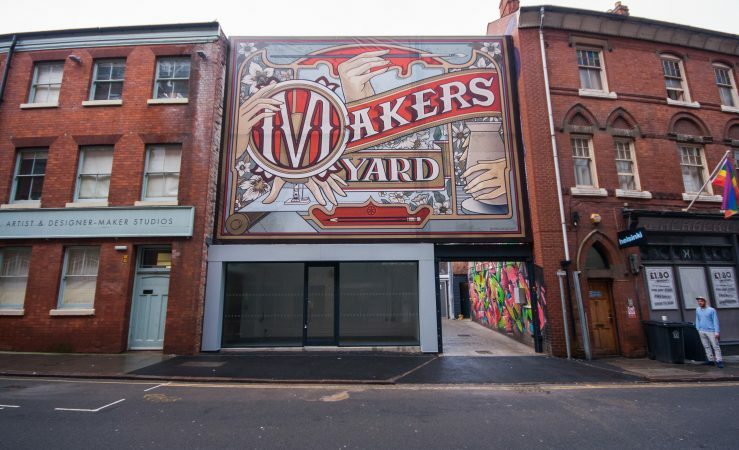 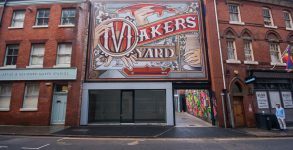 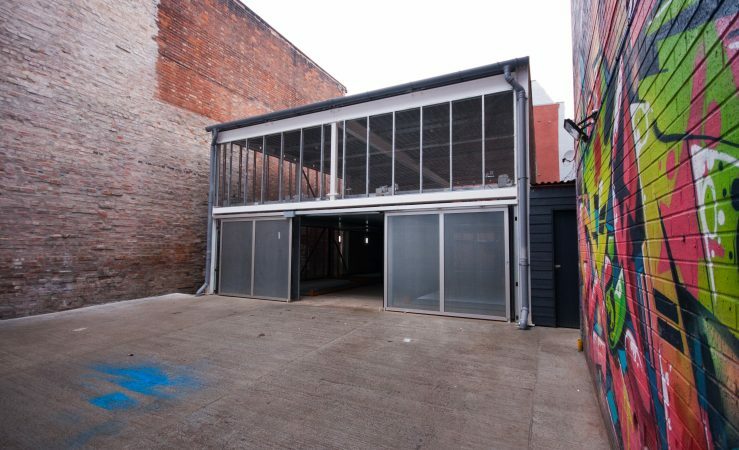 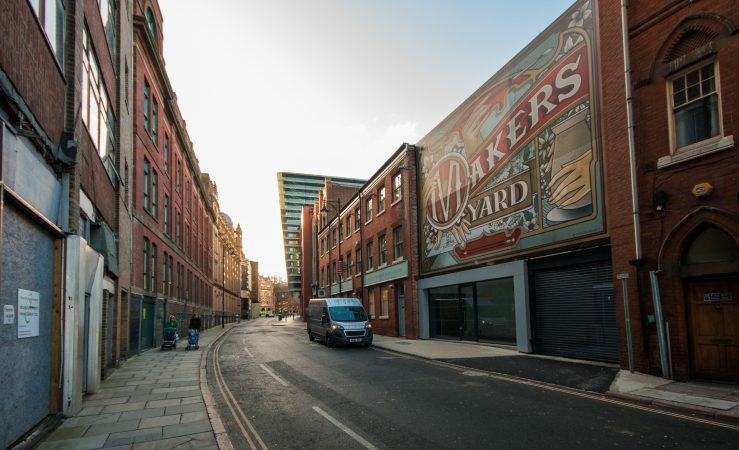 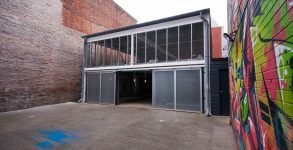 This all takes place behind a street frontage consisting of a display unit for the adjacent Makers Yard artist and designer studios and corresponding infill hoarding.